Chevrolet has taken forward-thinking engineering to a whole new and impressive level. The 2015 Chevrolet Colorado is shedding pounds for the upcoming year, following-through on its New Year’s resolution, which is more than most of us can say for ourselves. The 2015 Colorado uses engineering techniques and lightweight materials to create a truck that is not only expected to be the most fuel-efficient in its segment, but also maintains the muscle and power expected of a pickup truck. The new Colorado is expected to weigh-in at 880 to 1,400 pounds less than the average full-size truck. The Colorado’s overall dimensions will be slightly smaller, also contributing to its lighter weight. The short-bed crew cab will be 212.76 inches long, making it an easy fit in most garages – and who doesn’t love that? Despite the smaller over-all size, the interior still feels surprisingly spacious. The smaller size and increased fuel efficiency is promised to meet many customers’ needs. 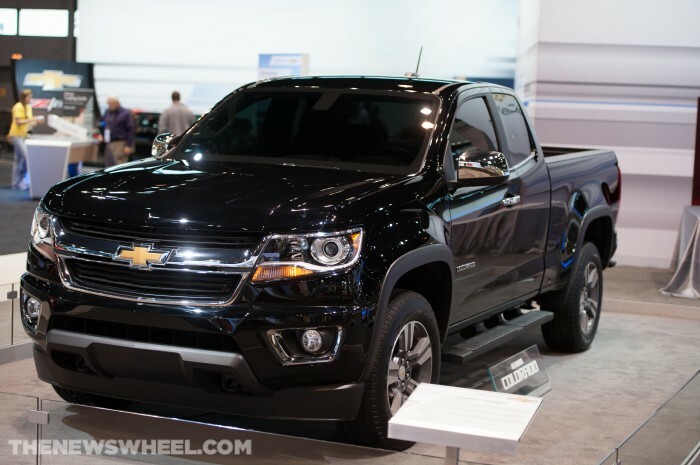 We think many consumers will be happy to see that the 2015 Chevrolet Colorado is shedding pounds. What do you think? Do the benefits outweigh the smaller size?